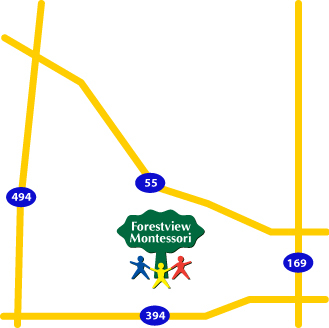 Visit our Montessori Program Options page for information from tuition to ages - from Toddler to Preschool. We are conveniently located in the Western suburbs of Minneapolis! Google maps here.